Connecticut Energy Information - CTEnergyInfo was developed by the Connecticut Department of Public Utility Control, Energy Conservation Management Board and Institute for Sustainable Energy to help consumers navigate the ever increasing number of energy-related resources. 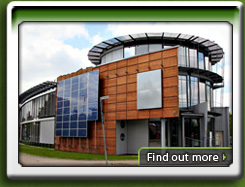 Includes information on choosing an alternative electric supplier and associated savings. Clean Energy Finance & Investment Authority - The Clean Energy Finance & Investment Authority promotes and invests in clean energy sources for the benefit of Connecticut ratepayers. 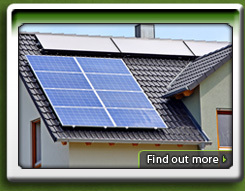 Rebate programs currently include residential solar PV and solar thermal. Northeast Sustainable Energy Association - NESEA is a chapter of the American Solar Energy Society, a trade organization that promotes the use of solar energy in the US. NESEA operates primarily in the 10 Northeastern states, from Maine to Washinton DC. American Wind Energy Association - Non-profit trade organization that promotes the use of wind energy in the US. American Solar Energy Society - Non-profit trade organization that promotes the use of solar energy in the US. Green America - A directory of green businesses that empowers individuals to make purchasing and investing choices that promote social justice and environmental sustainability. It promotes green and fair trade business principles while building the market for businesses adhering to these principles. Database of Incentives for Renewables & Efficiency - Comprehensive listing of incentives from the State and Federal governments for renewables and energy efficiency programs. Includes rebates, grants, tax credits, plus exemptions from sales tax and property assessments. Connecticut Light & Power - CL&P provides Zero-Emissions Renewable Energy Credits (ZRECs) to business' and individuals who install renewable energy systems. Medium and Large scale projects are determined annually using a reverse bid auction. Small projects, less than 100 kilowatts are open to applications during a two week window each year.